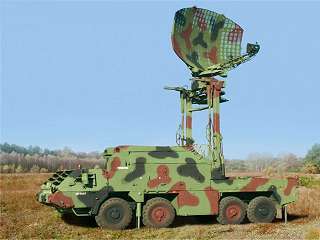 The N-22 is an operating in S-Band self propelled short to midrange 2D- air surveillance radar for tactical use. It can also used as a gap filler up to an altitude of 7 000 m. The parabolic reflector of the antenna has the dimension of 4,2 × 3,1 m. It provides a cosecant squared pattern. The predesessor of the N-22 was the N-21, using the same antenna. The N-21 used as transmitter power amplifier an amplitron, that was driven by a traveling wave tube of the type LO-301M. 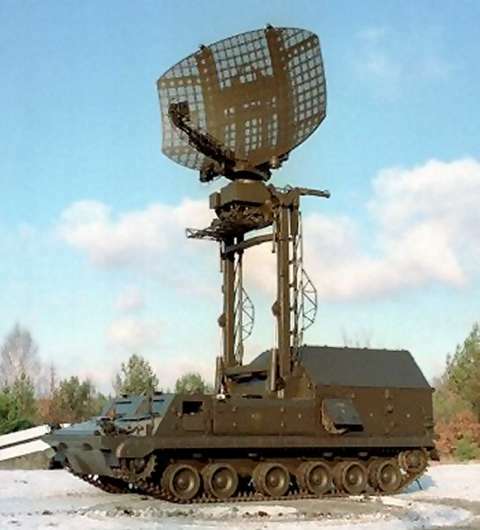 The N-22 radar is used to provide target information to low-level air defence systems such as the Russian 9K33 Osa (NATO SA-8 “Gecko”) self-propelled surface-to-air missile system. Prime contractor for the N-22 is the RADWAR company of Poland (now PITRADWAR). The radar is mounted on a modified Tatra 815 8×8 chassis and has a fully enclosed armoured cab in the centre and an elevatable mast at the rear. The N-21 was produced since the late 1980s and the N-22 was produced since the mid-1990s. Figure 2: N-21MI Radar using SPG-1, non armored carrier vehicle.